A Christmas musical for your children or students doesn’t have to be a big production or even something that has a script. It can be as simple as singing Christmas carols on stage, in costume while reciting traditional Christmas legends in between. It doesn’t have to be fancy with all the lights, sound systems, and elaborate scenery. You also don’t have to be a music teacher or have a music background in order to put it together, which makes it perfect for classroom teachers as well. It just needs to send a message of the season and bring joy to those who watch as well as those who perform in it. I brainstormed this children’s Christmas musical idea when I was teaching at a Catholic elementary school and I was on a restricted budget. The students in my Music classes wanted to put on a Christmas pageant (if you will) and they all loved to sing. I was in the midst of doing a unit on Christmas carols and their history when it came to me. Why not do a Christmas musical/narrative on the legends of Christmas from a religious perspective? I then had to create a plan in which I could incorporate singing as well which is where the Christmas carols come into play. In order to have all of my Music students participate, I combined 2-3 grade levels into one category, because at our school there was only one class per grade. This musical is not only great for a school setting, but it can be used as a community musical or church pageant idea as well. 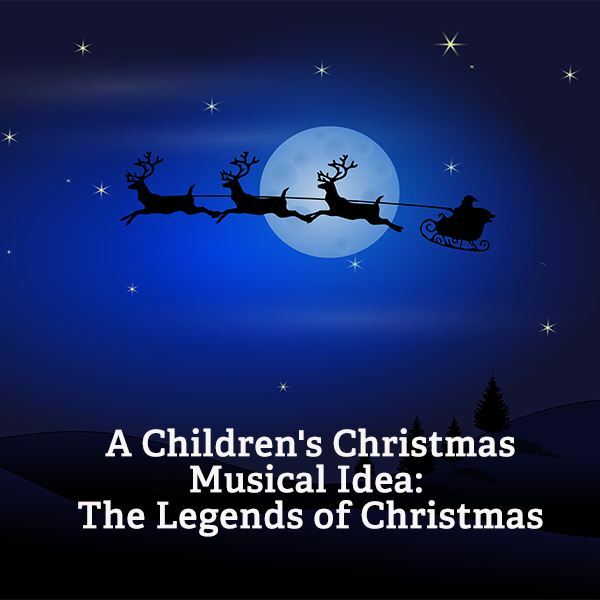 You could even do this musical with adults narrating the legends and singing the carols. There are also other tales of the same legends that do not have a religious focus to them, which makes them more appropriate for a neutral setting such as a public school. Many people are unaware that several family and spiritual Christmas traditions all have an original story or fable behind them. This is what makes Christmas so special and unique from other holidays. There are some who will argue that because Christmas is a Christian holiday, its roots are solely religious-based and the only reason we celebrate is for religious purposes. As a Catholic myself, I also believe that the spirit of Christmas is based on traditions, both old and new, both religious and non-denominational, with both family and friends, and the true meaning of the season lies in each of our hearts. This children’s Christmas musical ties all beliefs together and will bring “Joy to the World” in its success! Celebrate the Christmas season using this children’s christmas musical which focuses on various Christian Christmas legends. Whether you are a teacher, parent, or church leader, this Christmas musical idea is one that will warm the hearts of all this winter.